There's a reason I'm making this book my kidlitpicks choice--everyone can see him or herself in this story. We see children of many races, but we also see children of varying temperaments and opinions. Regardless of physical differences or emotional differences, there's a wide range of touchpoints in this book for readers to connect to. Rulers of the Playground even gives readers a chance to see their own playground experiences reflected in Jonah and Lennox's battle for power (also fitting with the theme!). It is a fantastic introduction into the world of political thinking and questioning authority, but more importantly, it teaches readers about compromise for the greater good. And the twist at the end definitely gives readers a chuckle. 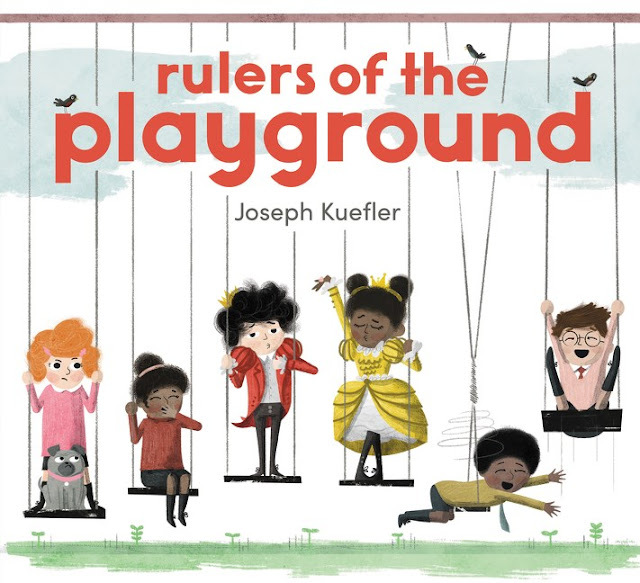 Rulers of the Playground is out from Balzer + Bray in April 2017!